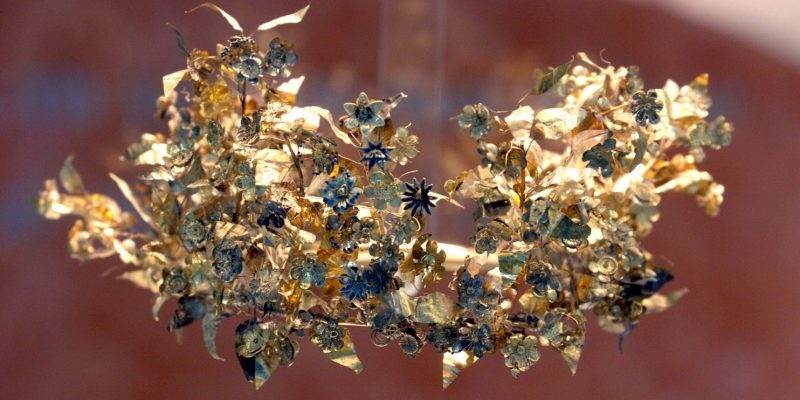 Listen to the story of a gold funerary wreath, looted from Northern Greece in the 1990s, smuggled into Germany, and eventually purchased by an illustrious U.S. museum. With their abundance of gold and other luxury items, the royal tombs of Macedonia in this area have been the target of looters (and archaeologists) for years. The debates about the VIPs who may or may not be interred within (the father of Alexander the Great, for one) continue, and demonstrate the essential importance of archaeological context. ‘Operation Eclipse,’ in P. Watson and C. Todeschini, The Medici Conspiracy (2007), 306-324. So cool! I loved listening to you and the subject is fascinating. I can’t believe things I see in the museum could be looted artifacts! Thanks! Next time you’re at a museum check out the labels and see what they have to say! Top notch. This tale joins the procession of criminal traffic in antiquities over the last half century and more including the Morgantina silver treasure returned to Sicily by the Metropolitan Museum through the dogged work of Prof. Malcolm Bell, University of Virginia. Too often these episodes fade into the shadows. This podcast keeps the spot light on what is a crime against culture and our knowledge of the past. Thanks for listening! Stay tuned for a future episode covering the Morgantina artifacts! Yes, thank you! Listeners with knowledge of Greek should check out this film! I really enjoyed this, thank you! I will not view artifacts in museums the same ever again. I always assumed that all things on display in museums were legit, but I’m learning that is not the case. Episode 4 is live! You can also check Episodes 1, 2 and 3 if you haven't already! They aren't serial, so you can listen in whatever order you like. Give Looted a rating or a review on iTunes! Looted logo and banner image by artist Andrew Scott. Check out Looted’s theme song, by Noah Weinman. And listen to his new band, Runner, on Spotify.